Here’s a great post from my friend Heather. 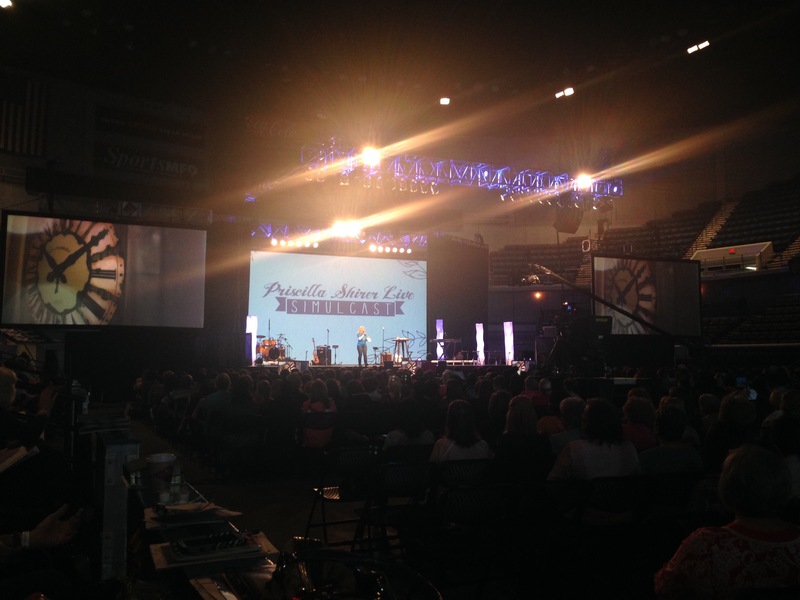 If you’ve never had the opportunity to sit under the teaching of Priscilla Shirer you are flat out missing out. This woman is empowered, y’all. Like Yoda said about about Luke, “The force is strong in this one.” And by force I mean Holy Spirit. She’s got an anointing, that’s for sure. She was in my hometown a few months ago presenting a simulcast that was broadcast live around the world, and I and several thousand others were so fortunate to have attended this day of worship and teaching in person and in my city! She taught from Ephesians on the armor of God, giving us a battle plan for victory and teaching us how to push the enemy back and take back what he’s stolen. This entry was posted in Christianity on July 10, 2015 by musicman707. Hall, Richard F. Foundations of Exchanged Life Counseling. Englewood, CO: Exchanged Life Ministries, 1998. This is the third of three book summaries I had to write for a class on Discipleship Counseling I’m taking through my church. The first summary can be found here, the second right here. 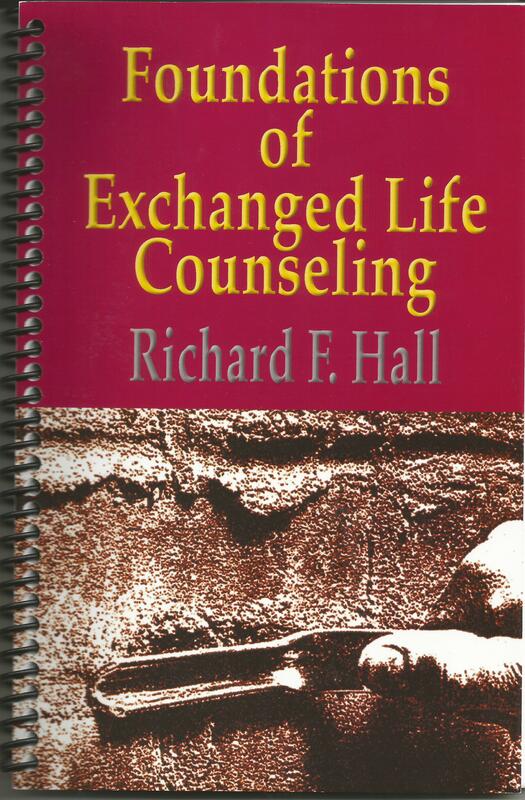 The third book we had to read has the captivating title Foundations of Exchanged Life Counseling by Richard F. Hall. It is somewhat of a brief textbook for the type of biblical counseling in which we’re being trained. Explained briefly, the term “exchanged life” refers to the idea that when we place our trust in Jesus Christ for salvation, he takes our sin, death, and selfishness and in exchange gives us forgiveness, life, and a loving heart. Hall says the exchanged life involves exchanging our self-centered approach to living for a new approach in which we live for Christ. Here is my brief summary of the book. I’ve included a few explanatory comments in [brackets]. Each person is made up of three parts: the spiritual (i.e., spirit), the psychological (i.e., soul) and the physical (i.e., body). An unsaved person operates out of the psychological part of themselves. For a Christian, the spiritual aspect is the essence of who they are. The primary cause of problems in people’s lives is living life out of their own resources rather than in dependence on God. [This way of living is known in the Bible as “living by the flesh.” The apostle Paul uses the term “flesh” in a unique way, not to refer to our physical bodies but rather to speak of that part of us that is drawn to sin and opposes God. Key passages in which Paul uses the term “flesh” this way are Romans 7:14-8:17 and Galatians 5:16-25.] Sin and the flesh are the source of people’s problems. Living out of the flesh is a self-centered approach to life and ultimately detrimental. There are certain qualification a person needs to meet in order to be an exchanged life counselor. First and foremost, they must have a personal experience of salvation through Jesus Christ. They also need to be totally surrendered to the Lordship of Christ. The exchanged life counselor needs a good overall knowledge and understanding of Scripture, as well as training in communication skills. Finally, he or she should meet the qualifications for Christian leadership outlined in 1 and 2 Timothy and Titus. As with most counseling methods, exchanged life counseling begins with the client’s presenting problem–their stated reason for seeking counseling. The counselor then takes the client’s personal history. This helps the counselor get to know the client. It also helps both counselor and client identify unhelpful patterns the client follows to deal with life. The counseling method presented in the book has six steps: A) Assess the problem. B) Learn the client’s social history. C) The connection needs to be drawn between the presenting problem and the client’s past living patterns. D) The client is taught about his/her identification with Christ. E) The client is led to appropriate his or her identity in Christ. F) Further areas need to be dealt with that relate to the issue at hand. Exchanged life counseling techniques include: A) Preparation – through prayer, reviewing previous counseling sessions, and relaxation. B) Attentive communication skills, listening. C) Observation, concreteness, respect, and empathy. D) Confrontation, self-disclosure, and immediacy. E) Genuineness. F) Use of visual aids such as charts or diagrams which illustrate the truths being taught. G) Appropriate use of Scripture. H) Homework tailored to the client’s needs. The primary goal of exchanged life counseling is that the client come to understand and experience his or her identity in Christ and apply this understanding to life’s problems. Sub-goals to this primary goal include: A) Helping the client grow in Christ-like-ness. B) Helping the client grow to spiritual maturity. C) Seeing the fruit of the Spirit (Galatians 5:22-23) start to emerge in the client’s life. D) Helping the client experience freedom in Christ’s life. Exchanged life counseling is founded on certain theological concepts: A) The Bible as the infallible source of authority. B) The doctrine of man and sin. C) The doctrine of salvation. D) The doctrine of sanctification. In conclusion, Foundations of Exchanged Life Counseling serves as a good summary and explanation of what exchanged life counseling is all about. As such it serves as a good resource to consult over and over again. My one criticism of the book is that it’s very conceptual and therefore mostly abstract. The author doesn’t take time to illustrate the concepts. It would be very helpful if the author would release a later edition in which illustrative material is added to flesh out the concepts. However, the book does include a number of drawings which could be used in counseling sessions to help explain concepts to the client. All in all the book is a good beginning resource for exchanged life counseling. This entry was posted in Bible, biblical counseling, book review, born again, Christian, Christianity, counseling, Exchanged Life, faith, freedom, grace, salvation and tagged biblical counseling, counseling, Exchanged Life, exchanged life counseling, Foundations of Exchanged Life Counseling, Richard F. Hall on July 2, 2015 by musicman707.